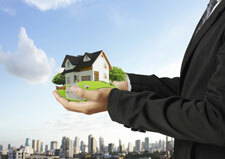 Katy Property Management, Katy Property Managers, Katy, TX Property Management Companies. We offer a full range of Katy property management services tailored to you as an investor, homeowner, or landlord. We have an extensive portfolio of single family homes, townhouses, condos, and apartments in the Katy area. In the mid-1800s Katy was known as Cane Island. Named for the creek that still runs through the area (now a branch of Buffalo Bayou).The creek was filled with cane presumed to have been planted for fur trapping by earlier residents. In the middle of the flat coastal prairie – this ‘island’ of cane was surrounded by an ocean of tall grass; thus the area became known as Cane Island. The trail from Harrisburg to San Antonio, known as the San Felipe Road, ran right through it. In 1845 James J. Crawford received a land grant that included this area. Hot summers, cold winters, thick mud and voracious mosquitoes made the area quite difficult to settle. Thirty years later Crawford, John Sills and freed slaves Thomas and Mary Robinson were the only recorded residents of Cane Island. In 1893 the Missouri–Kansas–Texas Railroad (now a part of Union Pacific) started laying rails through Cane Island. The railroad began operation in 1895. That same year James Oliver Thomas laid out a town and in January 1896 the town of Katy was named through Thomas’s post office application. The name was based on appreciation for the MKT Railroad (which was called ‘the Katy’ by railroad officials) and the expected prosperity its arrival would bring to the new town. Today, the original train stop and railroad tracks are still very much a part of the town. By the early 1900s many families had come by train and wagon to establish Katy. Several hotels, stores, livery and saloons were prospering and farms and ranches were replacing the wild prairie. Cotton and peanuts were the first successful crops but rice soon became the favorite. Katy later became known for rice farming, the first concrete rice driers in the state of Texas were built here in 1944 and still stand as landmarks.